A recent report published by Infinium Global Research on polyurethane dispersion market provides in depth analysis of segments and sub-segments in global as well as regional polyurethane dispersion market. The study also highlights the impact of drivers, restraints and macro indicators on the global and regional polyurethane dispersion market over the short term as well as long term. The report is a comprehensive presentation of trends, forecast and dollar values of global polyurethane dispersion market. Polyurethane dispersions (PUD) are high solid dispersions of polyurethane polymers in water. They are solvent based and widely used in applications such as textile, leather, adhesives, coatings, etc. According to report the global polyurethane dispersion market is projected to grow at a CAGR of 6.2% over the forecast period of 2017-2023. One of the major drivers in the global polyurethane dispersions market is demand from adhesives and coatings industry. Growing demand for textile and leather products in daily life and from industries such as furniture, automobiles and interior has paced up the market. Another characteristic that is augmenting the market growth is eco-friendly behavior of polyurethane dispersions. Furthermore, several advantages such as absence of volatile organic compounds (VOC), harmful monomers and other toxic compounds and elimination of odor along with polyurethane-like performance have increased its demand globally. Polyurethane dispersions hold high degree of toughness due to which demand is largely triggered in coatings, paints and adhesive industries driving the market growth globally. In coming future, new regulations are expected to cut the amount of VOC allowed in paints, coatings and adhesives this is expected to serve potential opportunities to the global polyurethane dispersions market to flourish. The report on global polyurethane dispersion market covers segments such as, application and product. On the basis of application the global polyurethane dispersion market is categorized into natural leather finishing, synthetic leather, textile finishing and others. On the basis of product type global polyurethane dispersions market can be segmented as water based polyurethane dispersions and solvent based polyurethane dispersions. Water based polyurethane dispersions have attributes such as heat resistant, endurance and fast drying. They have lower amount of volatile organic compounds and hazardous air pollutants. Water based polyurethane dispersions are largely used over solvent based product type due to its environment friendly behavior that make them more suitable for manufacturers to comply in accordance with government regulations. The report provides regional analysis covering geographies such as North America, Europe, Asia-Pacific, Latin America and Rest of the World. In this section the key trends and market size for each geography is provided over the period of 2015-2023. The report provides profiles of the companies in the global polyurethane dispersion market such as, Bayer MaterialScience AG, BASF SE, Alberdingk Boley, Chemtura Corporation, Dow Chemical Company, LyondellBasell, Reichhold, Stahi, DSM Neoresins and Hauthaway Corporation. The report provides deep insights on demand forecasts, market trends and micro and macro indicators. In addition, this report provides insights on the factors that are driving and restraining the global polyurethane dispersion market. Moreover, IGR-Growth Matrix analysis given in the report brings an insight on the investment areas that existing or new market players can consider. The report provides insights into the market using analytical tools such as Porter's five forces analysis and DRO analysis of polyurethane dispersion market. Moreover, the study highlights current market trends and provides forecast from 2017-2023. We also have highlighted future trends in the polyurethane dispersion market that will impact the demand during the forecast period. Moreover, the competitive analysis given in each regional market brings an insight on the market share of the leading players. 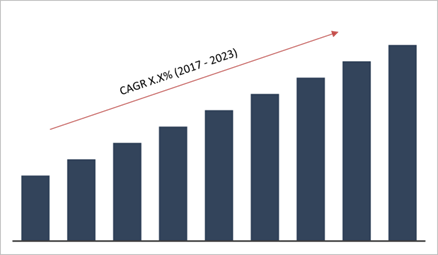 This report will help manufacturers, suppliers and distributors of the polyurethane dispersion market to understand the present and future trends in this market and formulate their strategies accordingly.